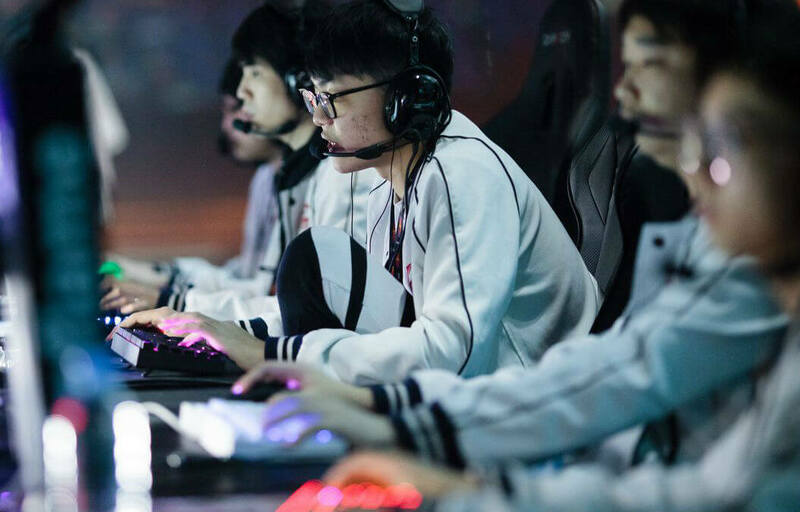 LGD.Forever Young stretched their dominant run in the International 2017 as they swept TnC Pro Team 2-0 to seal their spot in the upper-bracket semi-final. LFY, who finished a tournament-best 14-2 in the group stages, are now secured of a Top 6 finish, along with two other Chinese teams in Invictus Gaming, and NewBee, and CIS giants Virtus.Pro. The teams in the semi-final of the upper bracket are already assured of taking home at least $1 million, while reaching the upper bracket final will ensure a payday of at least $2.5 million. Game 1 between LFY and TNC was a nail-biter, with Monet’s Terrorblade and Super’s Puck negating the insanely wealthy Alchemist of Kuku. The Filipino squad actually breached high ground first, thanks to Kuku’s Acid Spray and 1437’s Liquid Fire from Jakiro. But Super then took control of the match, when he equipped his Puck with a Scythe of Vyse to fully lock down Tims’ Naga Siren, whose Song of the Siren allowed TNC to take many team fights in the game. Without the Song, TNC failed to reset clashes and LFY took the last three teamfights, resulting into a GG push in the middle lane, and eventually the Filipino team had no choice but to surrender despite having two lanes of Tier Threes left. If Game 1 was a heart-stopper, Game 2 was a total snowball when LFY found their rhythm after a sloppy early game. LFY’s supports – ddc and ah fu – went with the in-meta Ancient Apparition and Kunkka, and their partnership was too much for TNC to overcome. Both supports were involved in 24 of the 28 kills for LFY, with ddc on AA finishing with a KDA of 2/4/22 and ah fu finishing with a 1/6/23 on the famous pirate. Between AA’s Ice Vortex, Kunkka’s X, Monet’s Time Lock using Faceless Void, LFY became a killing machine that picked apart TNC throughout the game while Inflame took care of the pushing using his Nature’s Prophet. After just 34 minutes, LFY took down the mid and bottom barracks and have accumulated a 22k lead in the gold department, forcing TNC to wave the white flag and go down to the lower bracket, where they will face Red Bull OG. Team Liquid took advantage of Team Secret’s mistakes in Game 3 to win their lower bracket series 2-1 and seal their place in the Top 8. Secret possessed momentum in the decider until they lost a team fight in the Roshan Pit because they engaged a moment too late and allowed Matumbaman, on his Necrophos, to Death Pulse them to death. Following the bungled Roshan steal attempt, MP on his Luna foolishly attacked Miracle’s jungling Troll Warlord, who had Kuroky’s Witch Doctor as babysitter. Miracle then snowballed from then on, as he only needed 33 minutes to buy Phase Boots, Mask of Madness, Black King Bar, Sange-Yasha, Eye of Skadi and was halfway through his Divine Rapier with the Demon Edge. Miracle had a 633/663 on the GPM/XPM counter, and dealt 19k damage on Secret’s buildings, including two Tier 4s which eh destroyed almost singularly. In the other lower bracket match, Team Empire rode Resolut1on’s Sven in two games as they swept Evil Geniuses out of the running and sealed at least a Top 8 finish.